This is a fantastic session for children to explore reducing, reusing and recycling. They will learn about the different materials waste is made of and how paper is made. They have the opportunity to explore the topic creatively by making their own recycled paper. *In a standard session children make recycled paper in groups. If you are interested in each child making their own recycled paper creation, this can be arranged. *$285 for one session of up to 25 children. $8.50 per additional child. 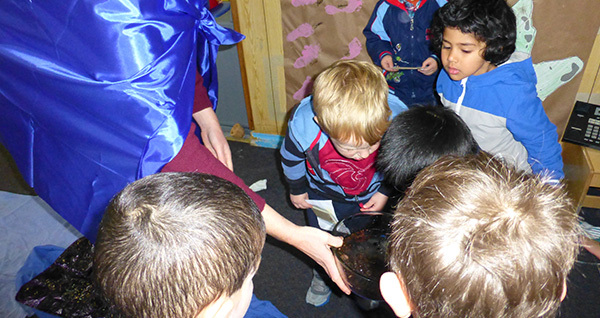 This incursion introduces children to worm farming. They investigate why this is a good way to reduce organic waste going to landfill, as well as being a fun way to turn it into rich fertilser for the garden! They explore what earthworms can and can’t eat, and how they breathe and move. 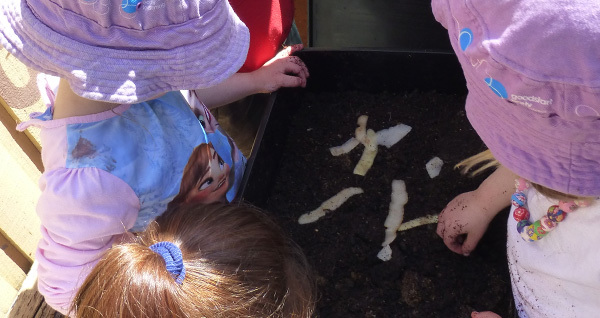 The session includes setting up a mini worm farm for the classroom to extend children’s investigations. *$285 for one session of up to 25 children. $8.50 per additional child. 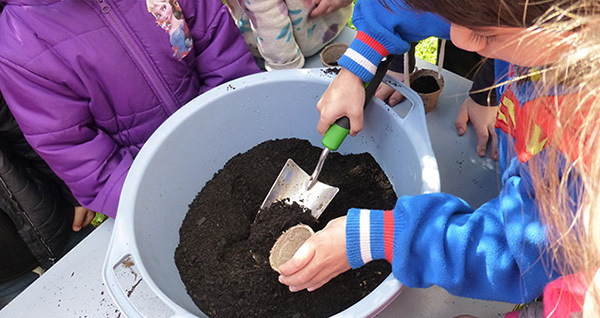 Students will get to plant their own seed to care for themselves. Children will develop a basic understanding of the water cycle and where water comes from. They will then use this knowledge to demonstrate the water cycle through a science experiment, music and dance. 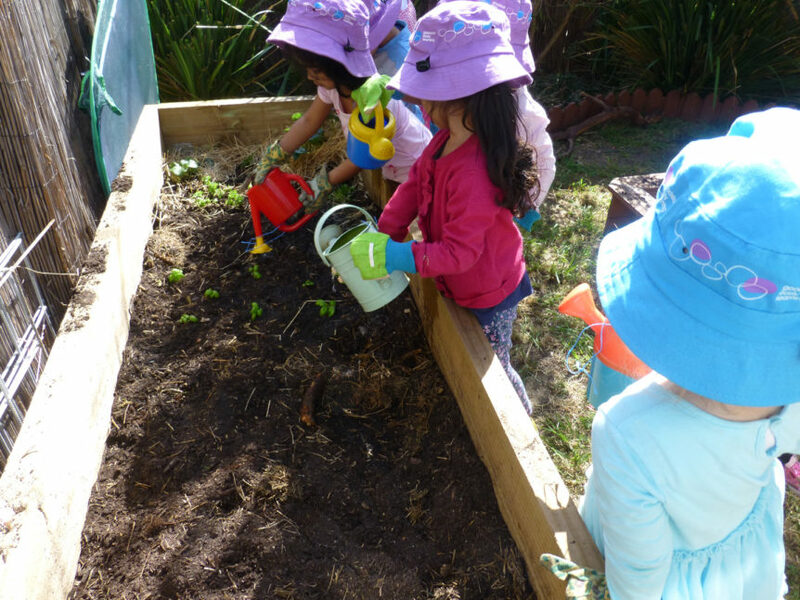 In this session children become familiar with organic food waste and other material that can be composted to create useful fertiliser and mulch for the garden. 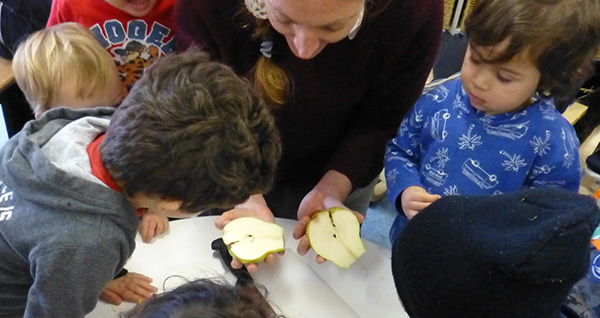 Tasting fruits and vegetables engages their senses to learn more about the diversity of plants, how they grow and which ones we can eat. They experiment with how long different types of waste take to break down and learn how to keep compost healthy. 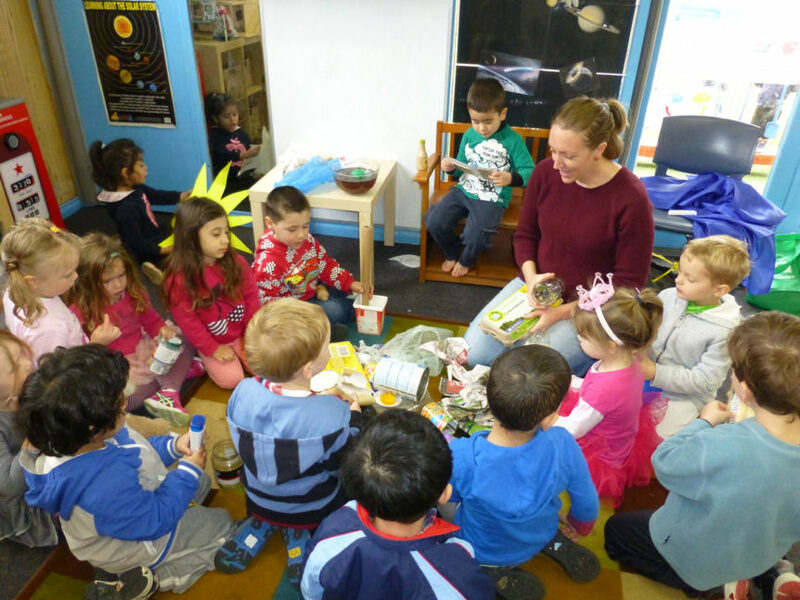 In this activity children explore where waste comes from and how they produce it at the centre and at home. They investigate the different types of materials used to make the products and food we consume. They are introduced to refusing, reducing, reusing and recycling. They will begin to explore where waste goes after use, problems it can cause and what can and can’t be recycled. 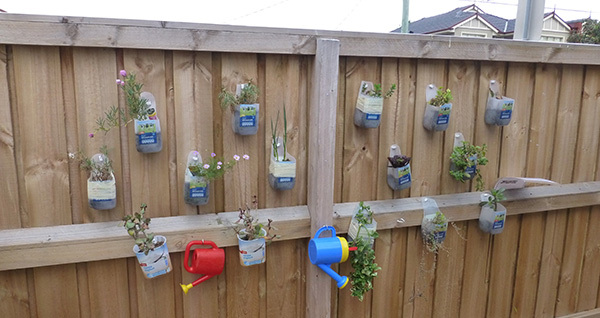 Children will put learning into action by making a recycled hanging garden. 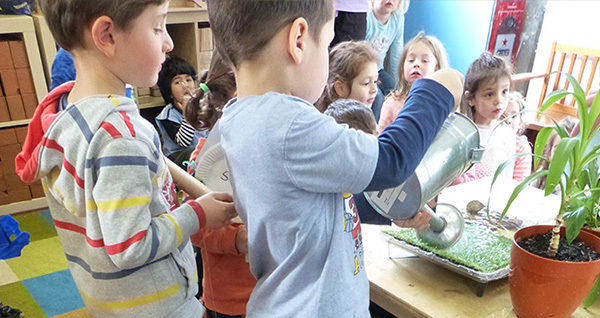 This session encourages children to investigate water, where it comes from and where it goes. Children will act out the story of a river to explore how different activities can affect water quality. They will develop an awareness of the impacts of water quality on animals, plants, humans and habitats. Children will share ideas for how they can reduce pollution and protect water quality. 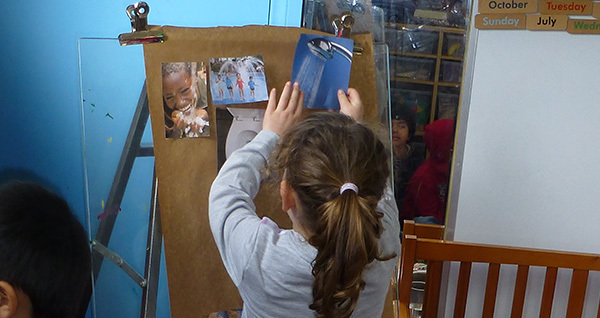 Children explore where we can find water on earth and share ideas about how we, as humans use water. 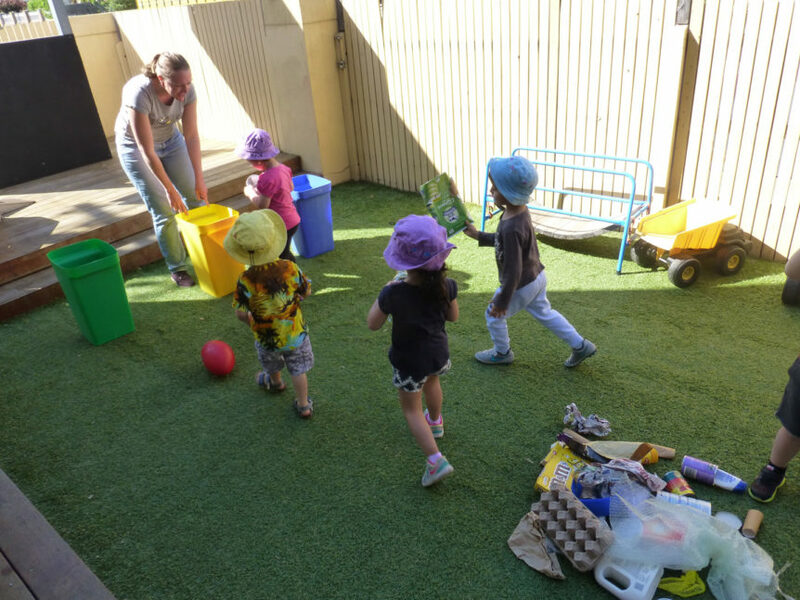 Through play, they investigate different states and types of water, and how much water is available for us as freshwater to use. 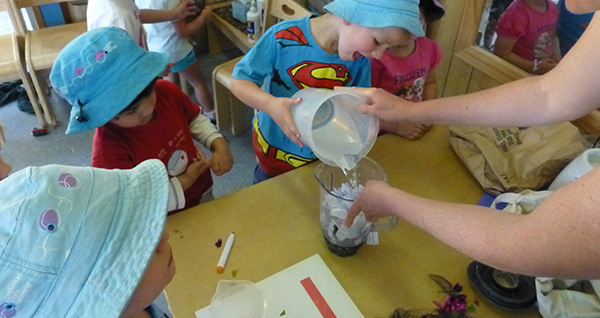 Children develop ideas for how to conserve water around the centre and at home.